Blichmann has thought of everything! Many people get tired of using cumbersome propane tanks that have a limited capacity, and more than one brewers has run out of propane in the middle of a brew day, leading to an expletive-filled mad dash to the hardware store. By running your burner off natural gas, you'll never have to do the propane run again, and will be spend more time drinking your completed product! 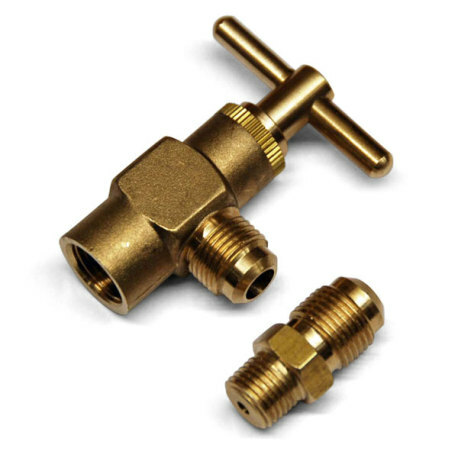 The natural gas conversion kit comes with an orifice and a needle valve, which is required for the floor standing model of the Blichmann burner. While natural gas has a lower heat output than propane, the Blichmann burners still perform wonderfully when running off natural gas, and gas can be hard-plumbed for a convenient brew day every time!